Heroku is a flexible and scalable cloud platform-as-a-service (PaaS), facilitating businesses to build, scale and monitor apps. Heroku forms the basis for specializations that lie beyond the scope of the Salesforce platform. A good example of this is a Customer Facing App, which can be distributed to a large audience. Heroku is built for developers, by developers. Apps built on the Heroku platform can be written in many different languages. At Gen25 we use Heroku for our own apps Social25 & Tickets25, where we handle a large volume of tickets and messages and have to consider busy peak times. Heroku has been an official part of Salesforce since 2010, which makes the exchange of data easy. Gen25 can offer full customization to customers thanks to the Heroku Enterprise platform. With it we develop outstanding apps, portals and websites for different purposes and diverse customers. 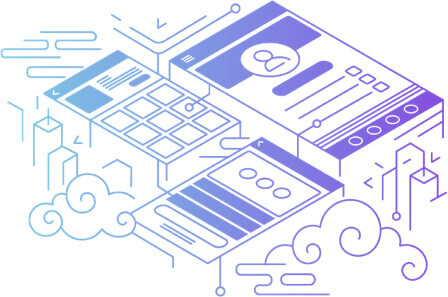 The Heroku Enterprise platform offers an enormous amount of flexibility and freedom to develop customized apps quickly, even for large organizations facing complex challenges. The fast go-to-market and the possibility to scale endlessly to keep up with the number of users, make it the ideal development environment for the enterprise market. Heroku Connect makes it very easy to synchronize Salesforce data with applications. Because customer data is available within the app, businesses can offer their customers a better experience, plus their Salesforce data can be enriched with data from the app. Heroku is the ideal development environment for large enterprise companies using Salesforce, but also for startups that wish to bring their innovative ideas to market as fast as possible. It is meant for anyone who wishes to remain competitive in a fast-changing world.